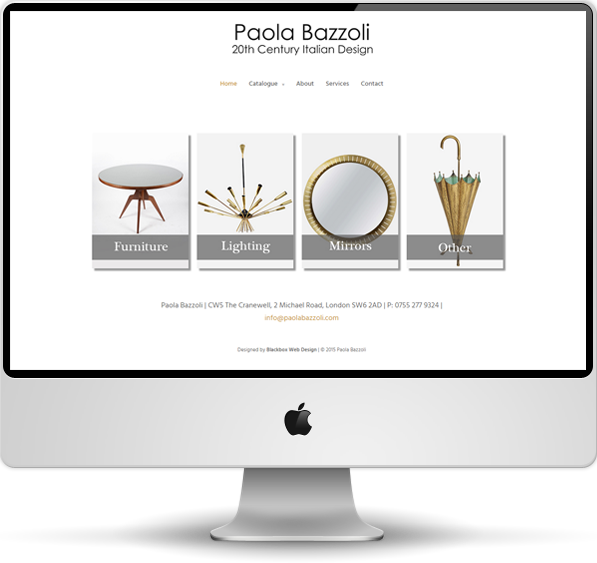 Paola Bazzoli specialises in classic 20th Century Italian design such as furniture, lighting, mirrors and other interior design features. With so many authentic and unique items, Paola wished to properly display her catalogue of items on a newly-designed website. The paolabazzoli.com website is an example of our BlackboxStore product. It features a full catalogue of items, along with a responsive design structure, allowing the site to be viewed on all types of devices. You can see the live Paola Bazzoli website here.